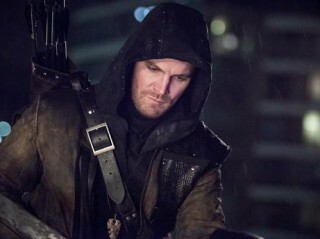 Team Arrow is convinced that Oliver has been brainwashed by the League of Assassins when he returns to Starling City to kill Nyssa, who has been bonding with Laurel since becoming a League outcast. THE LEAGUE OF ASSASSINS SETS THEIR SITES ON NYSSA - Oliver (Stephen Amell) goes through a rigorous transformation. The League of Assassins sets their sites on Nyssa (guest star Katrina Law), who is back in Starling City training Laurel (Katie Cassidy). When Nyssa realizes they are coming, she arms up to face them alone but Laurel asks Felicity (Emily Bett Rickards) and Diggle (David Ramsey) to help protect her new friend. Thor Freudenthal directed the episode with story by Beth Schwartz and teleplay by Brian Ford Sullivan & Emilio Ortega Aldrich (#321).